Reliable global dealer of low-price authentic Swiss watches of high quality & value by proven watchmakers.We specialize in vintage/luxury timepieces by Rado, Zodiac, Bulova & other established brands. Reliable global dealer of low-price authentic Swiss watches of high quality & value by proven watchmakers.We specialize in vintage/luxury timepieces by Rado, Zodiac, Bulova & other established brands. Timely & Timeless is an authorized dealer of the classic Hermle clocks which are showcased in hotels, resorts and luxury events. Our online store includes a variety of Hermle clocks including Astronomical Clocks, Grandfather Clocks, Contemporary Floor Clocks, Contemporary Table Clocks, Traditional Mantel Clocks, All Wall Clocks, Ship’s Clocks and Cuckoo Clocks. Timely & Timeless is an authorized dealer of the classic Hermle clocks which are showcased in hotels, resorts and luxury events. Our online store includes a variety of Hermle clocks including Astronomical Clocks, Grandfather Clocks, Contemporary Floor Clocks, Contemporary Table Clocks, Traditional Mantel Clocks, All Wall Clocks, Ship’s Clocks and Cuckoo Clocks. Fred Bartholomew has over 40 years experience in repairing grandfather clocks and antique time pieces. He is the only one in the industry who offers free pick up and delivery with grandfather clock repair service. Fred Bartholomew has over 40 years experience in repairing grandfather clocks and antique time pieces. He is the only one in the industry who offers free pick up and delivery with grandfather clock repair service. Family Owned and Operated since 1965 in Tucson, Arizona. We sell loud, easy to read alarms, grandfather and floor clocks. 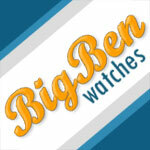 Watch and clock repair are done by certified technicians. Family Owned and Operated since 1965 in Tucson, Arizona. We sell loud, easy to read alarms, grandfather and floor clocks. Watch and clock repair are done by certified technicians. We have the largest collection of clocks in the Metroplex located conveniently in Dallas. We carry Grandfather clocks, Wall clocks, Mantle clocks and Cuckoos. We have Gallery clocks, English tall case clocks, antique clocks, even alarm clocks and novelty clocks! We carry it all. Not to mention the hundreds of unique gifts and services we offer! We have the largest collection of clocks in the Metroplex located conveniently in Dallas. We carry Grandfather clocks, Wall clocks, Mantle clocks and Cuckoos. We have Gallery clocks, English tall case clocks, antique clocks, even alarm clocks and novelty clocks! We carry it all. Not to mention the hundreds of unique gifts and services we offer! We are your complete online source for affordable quality pendulum clocks, mechanical and wind up clocks, grandfather clocks, and other fine wall pendulum clocks. Pendulum clocks are a stately addition to any home, adding elegance to any decor. We are your complete online source for affordable quality pendulum clocks, mechanical and wind up clocks, grandfather clocks, and other fine wall pendulum clocks. Pendulum clocks are a stately addition to any home, adding elegance to any decor. We will restore your clock or barometer to its original glory as we are skilled horologists that have the specialist experience to restore any timepiece from the simplest to the most complex. We will restore your clock or barometer to its original glory as we are skilled horologists that have the specialist experience to restore any timepiece from the simplest to the most complex. Wall clocks, desk and mantel clocks, cuckoo and radio-controlled clocks, indoor/outdoor clocks, hourglasses, weather stations and gifts for home and office. Wall clocks, desk and mantel clocks, cuckoo and radio-controlled clocks, indoor/outdoor clocks, hourglasses, weather stations and gifts for home and office. The Sound of Time has wall clocks for even the most discriminating decorator. There are decorative, chiming and large wall clocks, digital, atomic, neon, novelty, retro and outdoor wall clocks. The Sound of Time has wall clocks for even the most discriminating decorator. There are decorative, chiming and large wall clocks, digital, atomic, neon, novelty, retro and outdoor wall clocks.